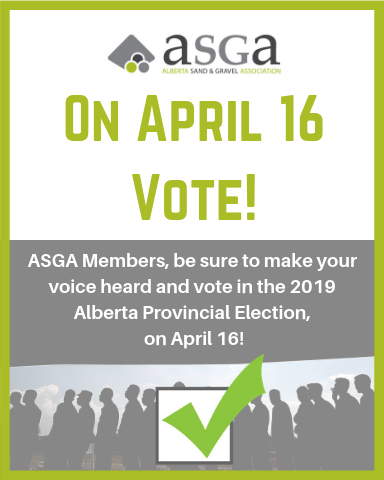 The ASGA has sent a series of aggregate specific questions to all of the Alberta political parties who held seats at the time the election was called. Responses to the questions can be viewed below, after the questions. Please note that we will be updating this page with the responses as we receive them. Be sure to keep checking the page for updates. Please CLICK HERE to download the Alberta UCP answers. Please CLICK HERE to download the Alberta NDP answers. Below is the list of questions that were sent to: The Alberta Liberal Party, The Alberta Party, the Freedom Conservative Party, The United Conservative Party, and the Alberta New Democratic Party. 1: Delays in Environmental Application processing at the provincial level is having an impact on aggregate supply. What do you propose to alleviate these delays? 2: The current Community Aggregate Payment Levy (CAPL) policy will be expiring at the end of 2022. What are your plans to further expand transparency and accountability for how those funds are spent? 3: Aggregate pits operate very differently from mines. 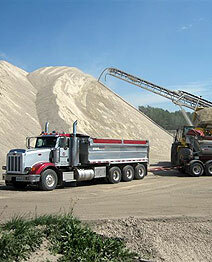 However, current occupational health and safety regulations treat aggregate pits as mines. Will you commit to working with industry to edit regulation to recognize the difference between the two? 4: Governments can be challenged by the competing demands of residents and the demand for locally sourced aggregated. How would your party resolve these competing interests?